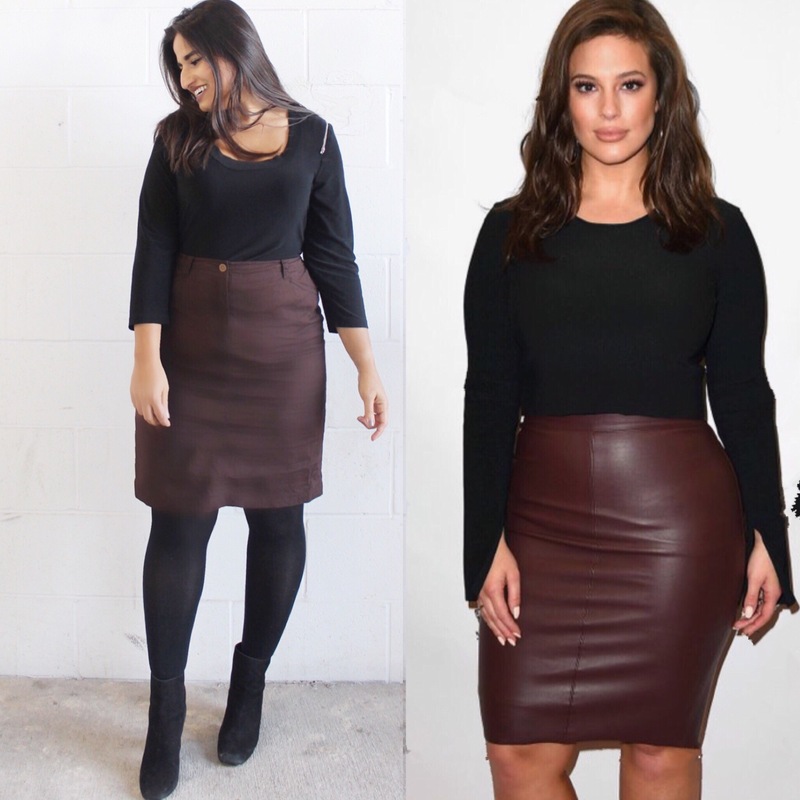 Thrifticating Ashley Graham’s look was as easy as $2 + $4 +$7! This outfit was a head to toe thrifted look and affirms my love for black and brown together. I always spot leather skirts at the thrift store, similar to Ashley’s here but I opted for a more practical one for work and every day wear.